Leaving our house behind to live aboard Day Star has been great. Since closing on our house, we have spent a few weeks living full-time in Deale, MD to work out the kinks and do the necessary preparations before we shove-off for good. Relatively speaking, we are still living a life of luxury: docked at a marina with our cars available. That will change soon, and life will surely become much more challenging. But for now, this situation does present a very different existence than the one we left, with its good and bad points. It is all, however, standard for life on a boat. The good: Day Star has a great little propane stove and oven. The bad: "Little" is the operative word. 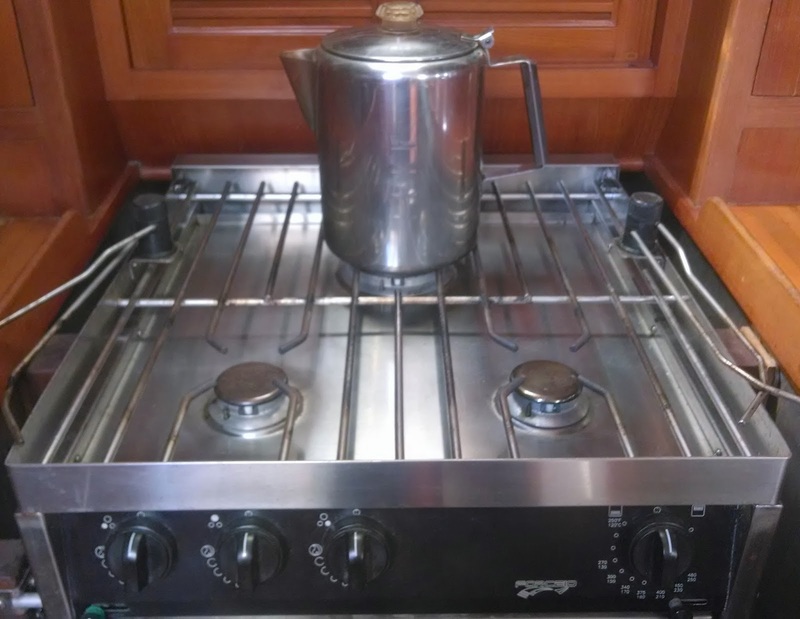 The stovetop has just three burners, spaced only 10 inches apart at the centers. Using one large frying pan precludes the use of anything else larger than a small saucepan. I have to cook in shifts, timing the elements of the meal according to what can sit longest without getting cold. The oven has just one 10' x 15" shelf. The bad: Propane is in tanks and will run out. We need to carry them to town for refilling. four different schedules of sports, homework, and work, we sit down to a family dinner together every single night. The bad: Again, "little" best describes it. We've chosen to forgo keeping the freezer side of the icebox frozen so that we can use the entire space as a fridge. It measures six cubic feet in total, and will be a major use of power consumption. The good: Not as much needs to be kept cold as one would think. Eggs, cheese, and most condiments keep fine without refrigeration. Eggs must be turned once a day to keep their air bubble from drying out, but can last easily otherwise. Many fruits and veggies keep for a few days on their own. The bad: I have to shop more frequently and keep less fresh food on hand. The good: I take more care to plan meals and use food. I don't end up throwing out spoiled food that has gone unused like I did in the house. 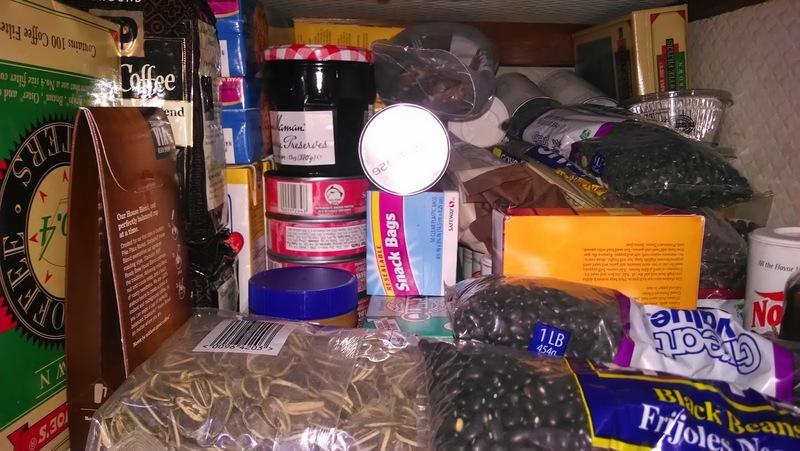 I am getting more creative about what to cook, using the food I find locally and with what is here on the boat. The good: I've gone from one dishwasher to four. The bad: Their names are Paula, Greg, Cash and Nicole. 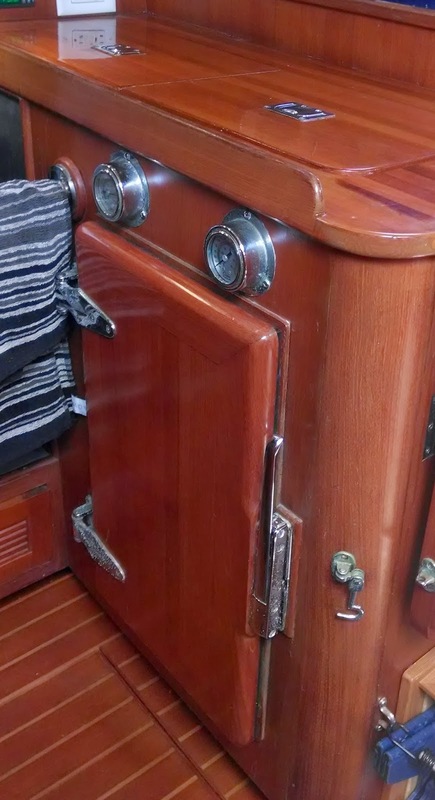 The good: Unlike our last boat, Day Star has electric-pumped running water. 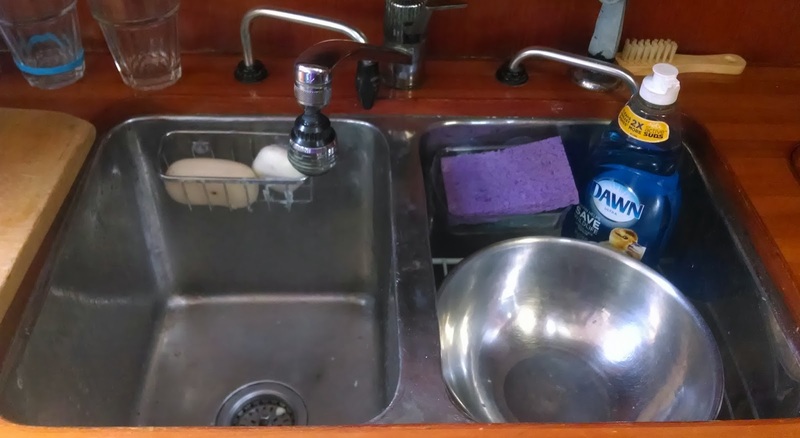 No need for foot-pumping, as our galley and head sinks have pumps that bring water to the faucets . The bad: We need to be conservative with water usage, as the supply is finite. 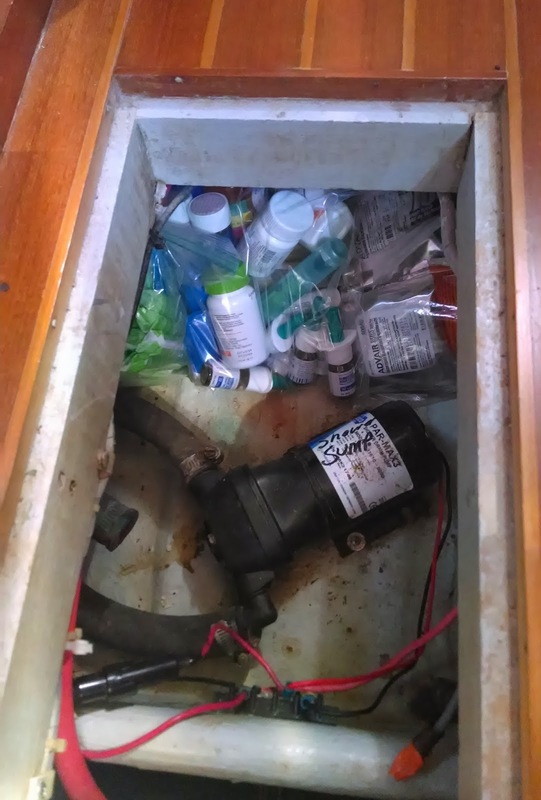 Water tanks must be refilled at a marina, and that will be difficult to manage or costly at some locations. The good: It's pretty easy to cut back on water once you get used to it. I've developed a rinsing technique that pours from one container to the next, and rinsing with just a trickle does the job with control and patience. The Good: Our boat holds a fair amount of water - 160 gallons - compared to other boats this size. The good: Day Star has a shower. The bad: Showers on board take just a few minutes; no luxuriating allowed. Just rinse off briefly and turn off the water. Then soap up and wash before turning on the water for a brief final rinse. No shower hair-washing for the girls -- they need to wash & rinse with seawater and then give it a quick rinse in the shower. The bad: There is mostly no running hot water. 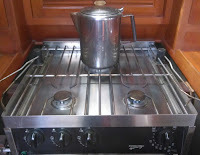 Day Star is set up for hot water, but it comes as a result of running the generator or heating from battery power, so it will not be a regular occurrence. The good: Washing dishes with hot water is easily done by heating a bit in the tea kettle. Where we are headed, we'll want cool showers anyway. The good: I've gone from cleaning four bathrooms to just one. The bad: Our toilet flushes with a hand-pump. In a harbor, the head flushes to a holding tank, which must be emptied at a pump-out station. 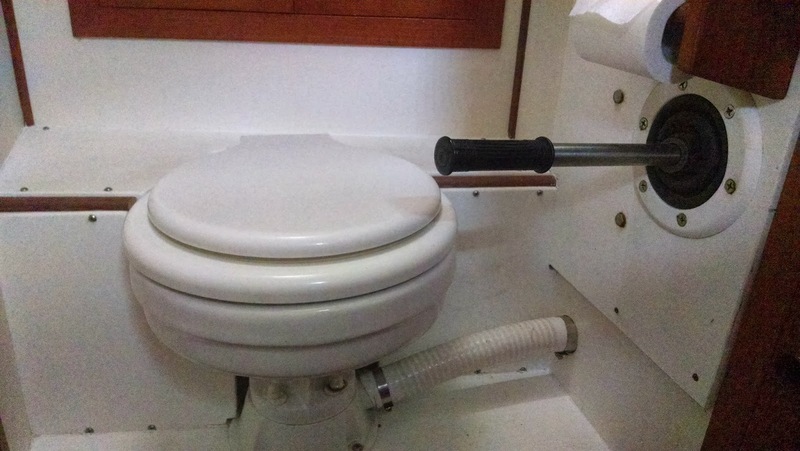 At sea, the head can flush directly out. Both methods are less than odor-free. The good: We actually have a toilet. 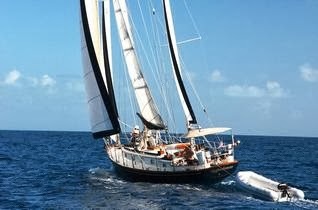 Friends of ours spent years cruising their first boat with just a bucket. The good: Vacuuming our home used to take three hours and now takes just ten minutes. The bad: Less space to clean means less space to live. We don't mind the closeness, and find ways to be separate when we need it, but the available space to spread out can be challenging. Morning stretches must be done on the foredeck or carefully maneuvered on the cabin floor. The table holds two laptops, but not much else. 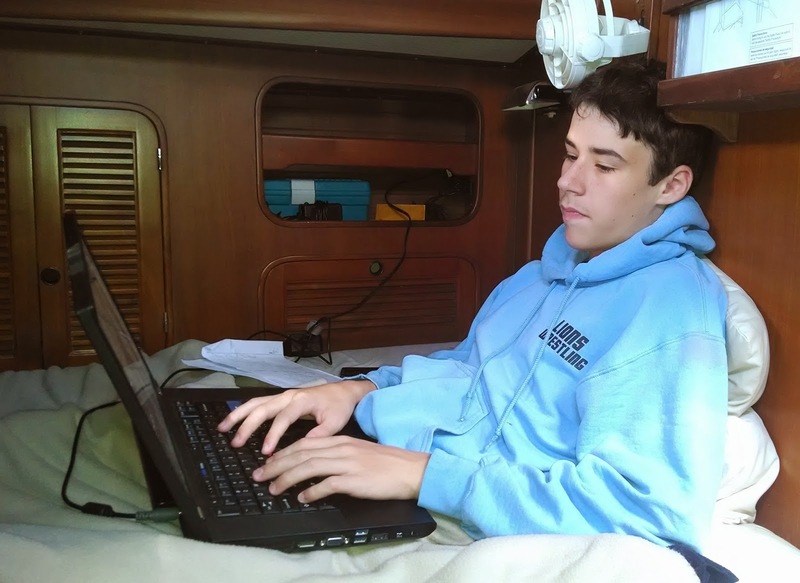 The good: We've all acclimated to working cross-legged on bunks, using clipboards, and sharing the space. We value being close together as a family so much of the day. 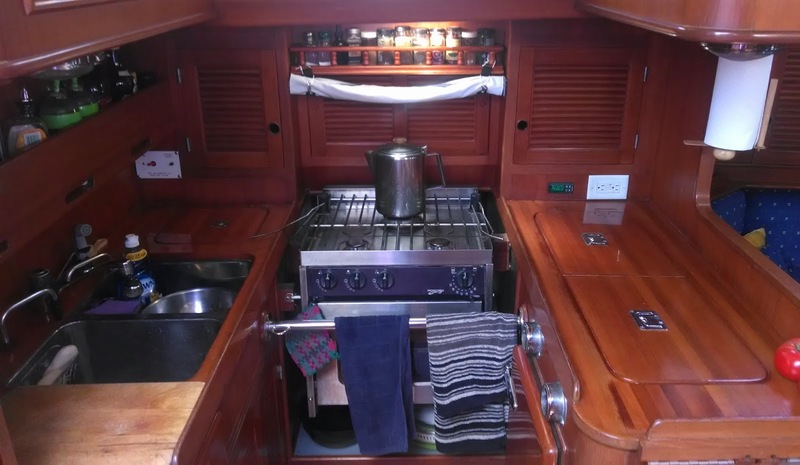 The good: Mason 43s like Day Star have an amazing amount of storage in cabinets, lockers, and in tucked-away spots (like below the floor-boards or under berths). Deep storage spaces behind the settees are my pantry. The bad: The deep storage means that I can't store things in neat, easily accessible shelves like I did in a house. Getting to the item I want might mean taking out half the goods to retrieve it. The bad: We have one 12-inch closet for hanging clothes. The larger hanging locker has been commandeered for Cash's guitars and keyboard. Clothing storage spaces are very limited. The good: Our current lifestyle is pretty casual, and we don't need to dress formally. The ugly: The wind, the humidity...my hair! Sailing and humid weather have produced a frizzled, crazy mass of wild fronds that cannot be controlled and often stick straight up. The good: I'll trade bad hair for this life any day! Wow! Fascinating, Paula. So many details and challenges (and rewards!) I hadn't thought about. The photos are great for those of us trying to vicariously ride along on this adventure with you. can't wait to hear more and wishing you all the best. we're happy to treat you to dinner, etc, any time you're in shore near where we are. let us know when you're near the Boston area in case our schedules overlap!